The U.S. Fish and Wildlife Service warns prospective interns with the Mexican Wolf Recovery Project that they will work long, irregular hours, often in remote areas with extreme environmental conditions. Still, when Reagan Barron — a wildlife resources major and fall 2018 University of Idaho graduate — saw the posting, she jumped at the chance. Barron, who has been interested in wolves since junior high, did work hard. To monitor wolf movements during the summer internship in Alpine, Arizona, she set up remote cameras and hauled diversionary food caches, often heavy boxes of roadkill, to sites in the Gila and Apache-Sitgreaves National Forests. “It was difficult but very rewarding at the end of the day,” she said. The caches are meant to divert the wolves from killing area cattle and supplement food for packs with pups. 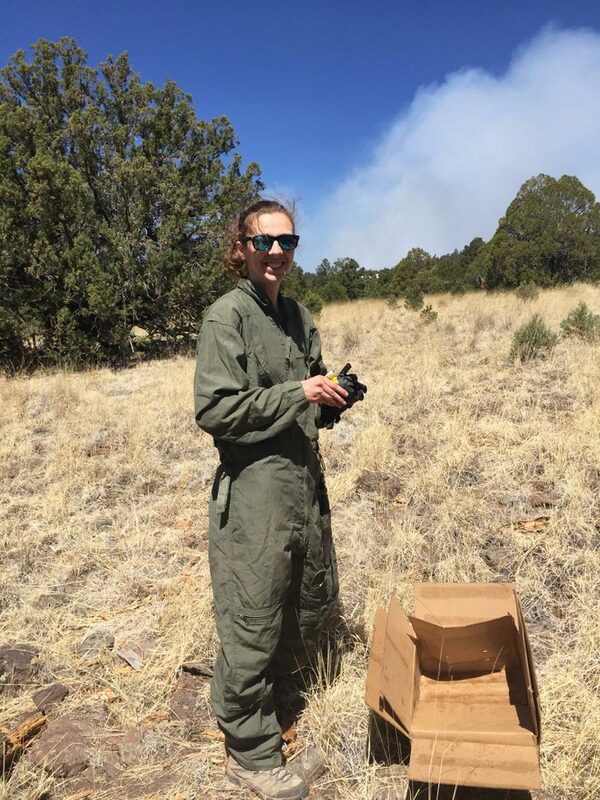 From this internship, Barron gained new scientific and practical skills from searching for animal sign and triangulating with telemetry to using a firearm and improving her 4x4 driving. Most of all, the experience helped advance her career. “I really learned a lot from this job, and it helped me narrow down what I want to do,” she said.